PUBG: How to get the latest UMP9 Skin in PUBG Mobile? PUBG Mobile has never failed to bring new and awesome attires and skins. The updates are getting better with time and so are the skins for your characters and their attires. Every gun from the mighty Sniper Rifles to the Pistols has loads of skins for the game. So here is another skin for the most loved SMG. UMP9, the mighty SMG and an absolute favorite for many of us are up with a new skin. The skin in yellow and green looks dope and is named as the SUPERWAVE skin. The skin is a new addition to the other skins of the UMP9 skin. Earlier skins like the RUGGED ORANGE skin was loved and adored by many of its fans. But, there's a sad fact about the skin, nope it's not about the ELITE PASS, the skin is not available for Indian server. But, there's nothing to worry about. Yes, you can still get the skin, because there's always a hole for a mice to get through and the way is not that tough. 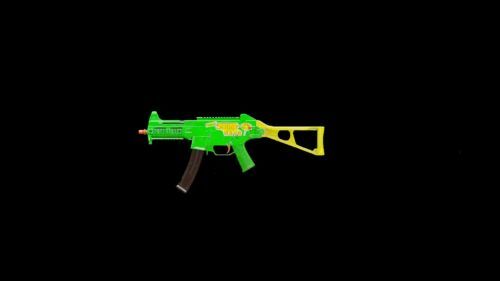 HOW TO GET THE UMP9 SUPERWAVE SKIN? Next step you open PUBG Mobile on your phone. As the game starts to run, minimize the game. Now you open the VPN and select the Thailand Server and then switch to the game. Now go to the shop and redeem you superwave skin for your UMP9 and boom you are good to hunt some chickens down. With the new skin, it may not give you any added skills but surely will add a charisma to your character and you can now slay your new skin to your friends in the lobby.